On Friday, the Bureau of Labor and Statistics (BLS) reported that the unemployment rate for post-9/11 veterans increased from 4.7 percent in August 2015 to 5.0 percent in September 2015. 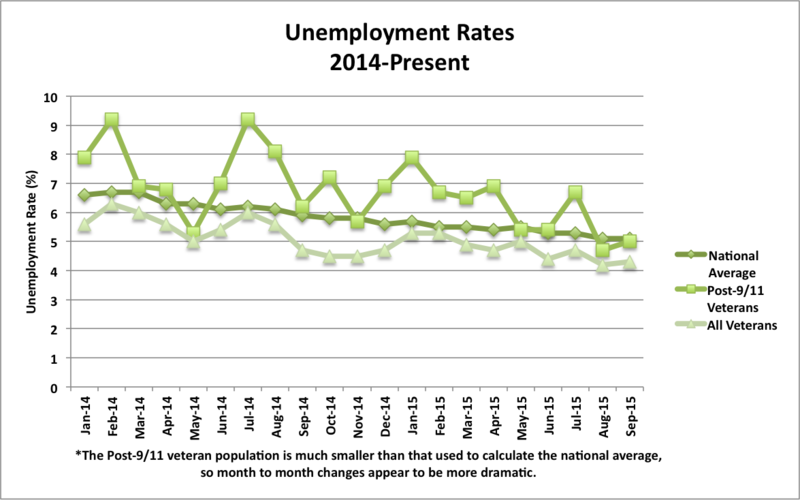 Among all veterans, unemployment rates increased slightly from 4.2 percent in August to 4.3 percent in September. The national employment rate was unchanged from August, remaining at 5.1 percent in September 2015. 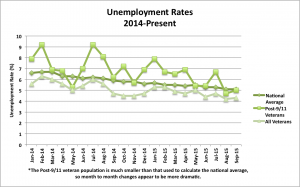 Unemployment trends from 2014 to present are shown in the figure below. As the employment outlook among veterans improves, our nation has turned to long-term solutions aimed at matching veterans with the right career, not just a job after service. Last week, the Department of Veterans Affairs (VA) announced the expansion of the Veterans Economic Communities Initiative (VECI). This program brings together local and national partners to increase the number of educational and employment opportunities available to veterans and their families at the community level. 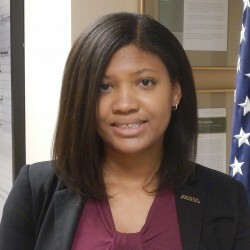 Originally launched in May 2015, VECI places a VA economic liaison in each community charged with working with private and public organizations that focus on veterans employment and training. These partnerships will help veterans gain competitive skills for fields that are in demand in these communities and knowledge of local job markets. Each of the VECI communities across the nation was chosen based on the size of the veteran and transitioning service member population in that area, as well as the post-9/11 veteran population. Each community was also evaluated in terms of unemployment, job growth opportunity and education spending. In addition to private partnerships, the Department of Defense, Department of Labor and Small Business Administration in each area will partner with VA and local nonprofits to expand employment opportunities for veterans and service members. VA economic liaisons are available in over 50 communities nationwide, including right here in Washington, DC. If you would like to learn more about the VECI initiative and the communities where these resources are available, see the VA VECI announcement here. If you are facing hardship due to being underemployed or unemployed, we encourage you to contact our Rapid Response Referral Program (RRRP) team to get connected with resources to help you. Contact us directly by calling the toll free number: 855-91-RAPID (855-917-2743) or emailing transition@iava.org.